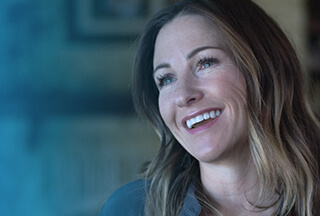 Technical Support Engineer II at Dell Inc.
Dell provides the technology that transforms the way we all work and live. But we are more than a technology company — we are a people company. We inspire, challenge and respect every one of our over 100,000 employees. We also provide them with unparalleled growth and development opportunities. We can’t wait for you to discover this for yourself as a Technical Support Engineer II our Business Enterprise Support team in Draper UT. The Technical Support Engineer will provide support to customer/users where the product is highly technical or sophisticated in nature. They will provide solution involving installation, operation, configuration, customization, performance and usage of assigned products. The Technical Support Engineer is responsible for investigating diagnostic issues and recommend solution to correct failures. Additionally, they will verify warranty entitlements and support customer questions and inquiries. The Technical Support Engineer will document problems for future diagnostic issues. Participates in eServices content creation (self-service) and maintenance such as Chat, Knowledgebase content, Support forums, etc. If you want to be at the leading edge of technically challenging customer support, this is your opportunity to develop with Dell. Apply now!